Happy Flag Day. Happy Birthday David. My brother’s birthday is today. Flag Day. A legal holiday in Pennsylvania. There will be garbage pick up. A non-holiday holiday. No special holiday meals. I see flags and red, white and blue bunting around town. Some flags up since Memorial Day. 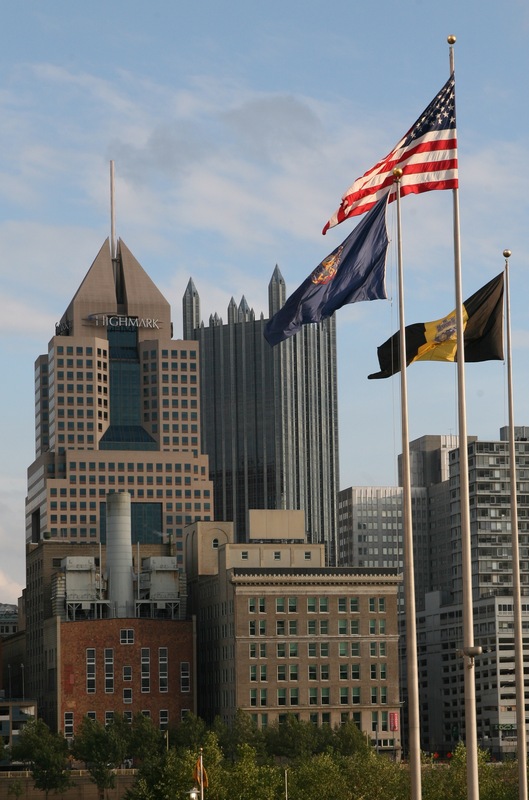 Here are the flags at PNC Park with the city behind! I remember walking to the Betsy Ross House when our parents lived in Philadelphia, Mark in a stroller. Philadelphia may be the home to the first Flag Day. When I was a kid there was a piano in the classroom and we sang a lot of flag songs. A beautiful and striking picture. My father is 87 today. He is a nursing home and doesn’t recognize his second wife. One can live too long. A fantastic shot of Pittsburgh!